The Hui People form the third largest minority of the 55 officially recognized minorities in China. Although they comprise less than 1% of China's population, they are the largest Muslim group with 9.8 million members based on 2000 census. Their population has increased through migration, intermarriage and adoption. 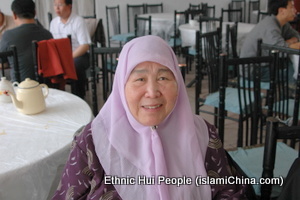 (Hui families often adopt Han children, raise them as Muslims and accept them as Hui.) Hui have more autonomous administrative units (12) than any other minority, and their communities are found in both rural and urban settings. With a willingness to go wherever opportunities for trade arise, the Hui are scattered throughout China. However, Hui people are concentrated mainly in Northwest China’s Ningxia Hui Autonomous Region, Qinghai and Gansu Provinces. 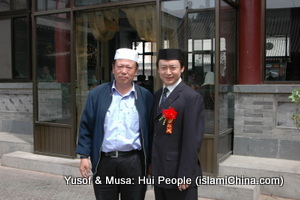 Most Hui are similar in culture to Han Chinese with the exception that they practice Islam, and have some distinctive cultural characteristics as a result. For example, as Muslims, they follow Islamic dietary laws and reject the consumption of pork, the most common meat consumed in Chinese culture. Due to their Islamic requirement in diet, a very unique style of Chinese cuisine come into being: Chinese Hui Muslim Cuisine or Chinese Hui Islamic Cuisine. The best examples are Lanzhou Beef Noodle and Xian’s Yangrou Paomo. Lanzhou beef noodles can be found almost every where in China. The most distinctive different between Hui and Han Chinese is their mode of dress. The Hui men wear white caps and women wear headscarves as it is the case in most Islamic cultures. The ancestors of Hui people are mostly Arabian and Persian traders who traveled to China along the ancient Silk Road. During the Tang Dynasty (618-907), many Central Asian, Arabian and Persian business men stayed in cities like Chang’an (present day Xian), Canton (present day Guangzhou), Quanzhou and Yangzhou and they married Han Chinese. Their children follow Islamic rules and they built mosques in the community where they resided. West Eurasian DNA is prevalent among the Hui people, 6.7% Hui people's maternal genetics have an West Eurasian origin. The Mongolian Yuan Dynasty saw the largest immigration of Arabs and Persians to China as Arabas and Persians were more trusted by Mongolians and they were appointed to be officials in most part of China. During the Mongol Yuan Dynasty, the social status of Arabs and Persians was higher than Han Chinese. In the subsequent centuries, the Arabs and Persians gradually mixed with Han Chinese, and the Hui people were formed. In order to be accepted by Han Chinese philosophy, the Hui people built their mosques in the architecture of Chinese Confucian Temple style and they wear clothing similar to that of Han Chinese style except men’s white caps and women’s headscarves. They stopped using names such as Muhammad or Hussein which are quite long for Chinese to remember. Instead they use Ma (short for Muhammad) and Hu (short for Hussein). If you meet ten Chinese who’s family name is Ma, nine must be Hui people. The Hui have a wide variety of occupations that relate to Islamic restrictions on diet and hygiene: restaurateur, innkeeper, shepherd, farmer, cavalryman, butcher, tanner, tea trader, jeweler, interpreter and clergyman. The Hui enjoy many privileges that characterize China's ethnic minorities: they receive government subsidies for the more expensive beef and lamb; they are allowed more than one child. The government has also subsidized the reconstruction of mosques and has given permission for Islamic literature to be published and sold. The Hui people are mostly Sunni Muslims and 20% of Hui people are Sufism. 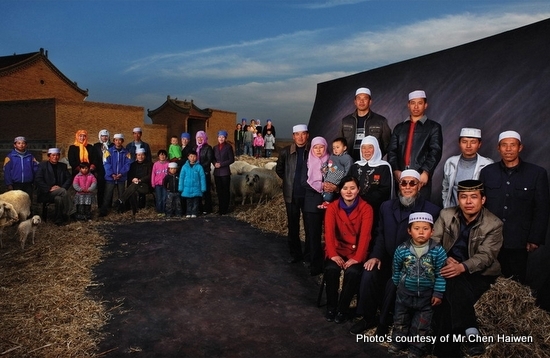 The Hui Sufi Muslims mostly live in Gangsu and Ningxia Hui Autonomous Region.